Located in the heart of downtown Santa Rosa, Gerard’s Paella y Tapas restaurant delivers authentic hot and healthy meals served quickly. 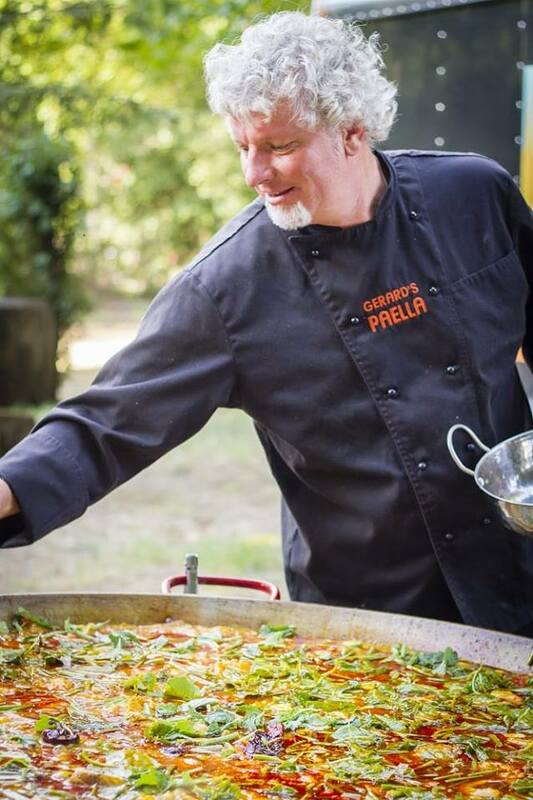 Gerard Nebesky is a well-known chef in the Sonoma County food world, long adored for his superb paella that he cooks over open flames in huge pans at Wine Country farmers’ markets, festivals and wineries. But he hasn’t had a restaurant to call his own since he sold his first Bohemian Café in Occidental in 2001, where he made an eclectic mix of pizzas, sushi and Thai food. It was 2004 when Nebesky first visited Spain and discovered paella. He fell in love with the colorful ingredients and bold flavors, and decided to open a catering business back in Sonoma County. His customers loved the food too, with his catering roster now grown to some 200 events annually, from house parties to Coachella, Iron Man and Maker Faire. Still, when the former Arrigoni’s and Persona Pizza space became available in Santa Rosa, Nebesky realized he wanted a permanent shop, too. 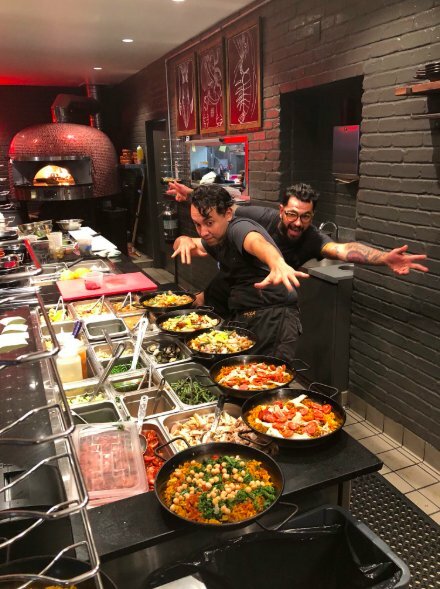 He recently debuted Gerard’s Paella y Tapas, and now, customers can dig into individual-sized paellas, plus a selection of salads, Spanish sandwiches, assorted nibbles, and flan and churros. There’s wine and beer on tap, too, plus grape-based cocktails like Kalimotxo, a Spanish blend of red wine, cola and Chuncho bitters. Start with pintxo (appetizers) like citrus-herb marinated olives, sherry pickled mushrooms, or crispy manchego croquettes. The tapas section brings more shareable bites, such as crispy potatoes dunked in spicy sauce, crispy chickpeas and calamari tossed with smoked paprika, or fire roasted garlic butter prawns. Of the four paellas offered, one is vegetarian, stocked with sweet peppers, squash, green beans, garbanzos, kale and sofrito. The Senorita Rosa model is more traditional, brimming with marinated chicken and imported Spanish chorizo, while the other two recipes deliver seafood flavors, studded variously with clams, mussels, prawns and squid alongside veggies, and/or chicken. Each dish is lovely to look at it, artfully layered with saffron or black rice. Bocadillos – little Spanish baguette sandwiches – layer ingredients like jamon, manchego and arugula, or chorizo, tetilla cheese and charred kale. Or, you can get even more vegetables in salads like the baby spinach tossed with goat cheese, pecans and membrillo (quince paste) dressing. Even with the fancy food, Nebesky keeps things casual, just like his catering. 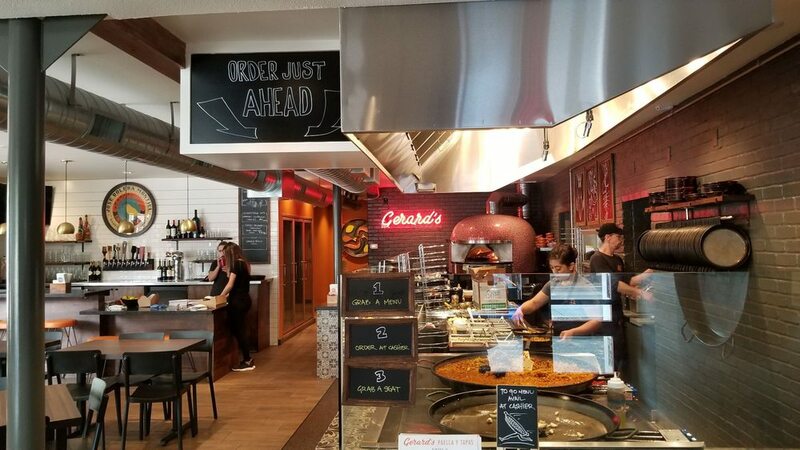 Service is order-at-the-counter, with meals built fresh in cafeteria line style. 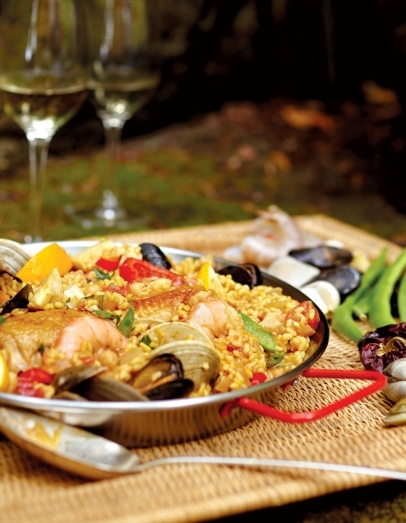 Paella is finished in the wood burning oven, and sent out sizzling hot and sumptuous. Details: 701 4th Street, Santa Rosa.